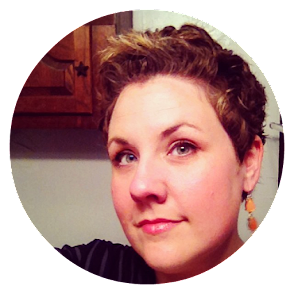 Estella's Revenge: Top Ten Tuesday: Bookish People You Should Follow On Social! 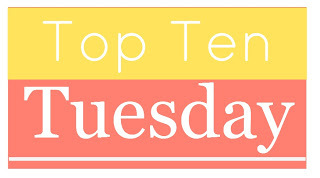 Top Ten Tuesday: Bookish People You Should Follow On Social! Top Ten Tuesday, here we are again. I've been woefully absent, I know, but when I saw this prompt, I was ON IT. Liberty Hardy (@franzencomesalive) from Book Riot and Book of the Month is a SERIOUS reader, to the tune of 500 books per year. 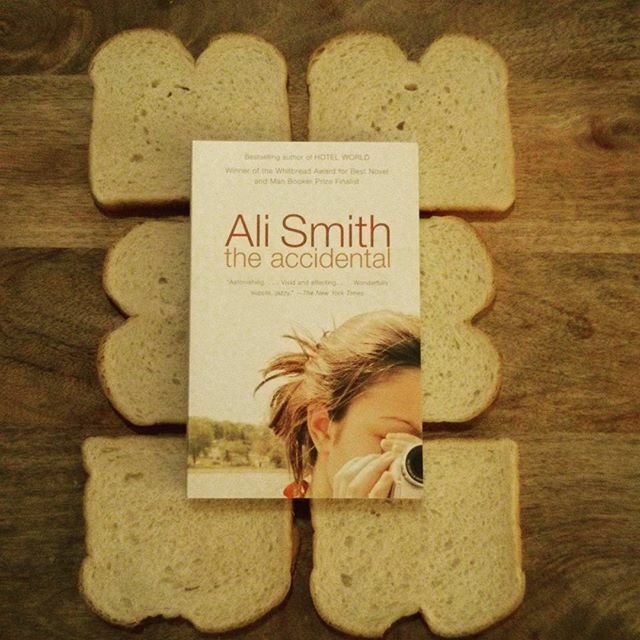 I love following her on Instagram because we get a sneak peek into what she's reading on a daily (four times daily?) basis. She also has tons of cute pics of her cat, Steinbeck, and as cats go, he's pretty amazing. I haven't the foggiest idea who is behind BestBookGrams, but they really are the prettiest book pics around! Jennifer (@The Tireless Reader) is great! Lots of pics of books, tea, and plants, and more books and tea! Amanda from Fig and Thistle (@nerdybookgirl80) is the best! 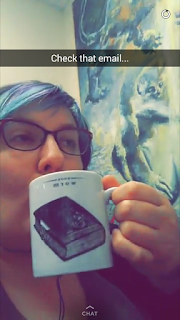 Her Snapchat is full of books, coffee, art, great music, and quirk. It really doesn't get any better. Janani from The Shrinkette (@jananivaidya) snaps about lots of things...books, makeup, life. I just love the peek inside people's everyday that Snapchat provides! Jamie from The Broke and the Bookish (@brokeandbookish) needs no introduction of course, since she runs this whole thing. But she's also sooooo funny on Snapchat, and random and wonderful. Books, beer, silly faces, singing. Yaaaas! Erikaraeable! Erika is awesome, and she's also on Twitter. She reads great books and her reviews are fantastic. Most recently, she really made me want to (finally) read The Book of Strange New Things by Michel Faber. Brittany from Under the Radar Books is lovely! Her channel is so great, and we have a lot of reading tastes in common, so I really like to see what she's reading. And while I haven't quite hit 10, it's past my bedtime! That sounds lame, but this lady is exhausted. Oh thanks for these suggestions! I hardly go on Instagram these days, but I love looking at people's book posts when I do. Instagram has steadily risen to the top of my favorite social media platforms. I just love looking at pics: bookish, makeup, food, pets. Whatever! lol Snapchat is fun but not until you are following a bunch of people. It's not terribly interactive...mostly just little sneak peeks into people's everyday. You're so with it - being on Snapchat and Youtube! I feel so behind the times with Twitter, FB, and Pinterest. So behind the times that I didn't even bother with this Top 10 category! I can't even remember why I decided to try Snapchat, and I thought it was totally worthless when I first got on. Now that I'm more in the groove and snap more, follow more people, and make a point to interact (still minimally compared to other platforms) I really like it. I really don't understand what snapchat is but haven't explored it. I don't think I can add more social media to the mix. It's...different. The app interface is really fairly terrible and hard to figure out, but once you do, it's fun. I can understand being tapped out with social media, though. Agrees. All of it. Wish I could "get" Snapchat though. I feel so old. OMG, please Heather. We need you on snapchat. It is so fun. Think of it as flash blogging. I never even really thought to follow other people I don't know on Snapchat. Damn, I can't keep up with all of the places to connect! I am trying to get better about using Snapchat, so I will definitely be following Amanda and Jamie for inspiration!